Chevron Philippines Inc. (CPI), marketer of the Caltex brand of fuels and lubricants, continues to provide customers with its best fuel ever: Caltex Platinum with Techron. 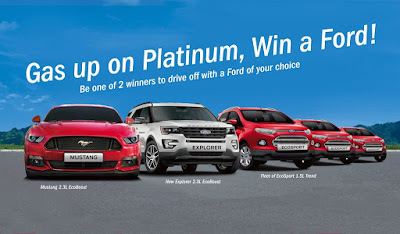 Starting today, CPI’s customers, old and new, will get a chance to choose their own prize with Caltex’s Gas Up On Platinum, Win a Ford. 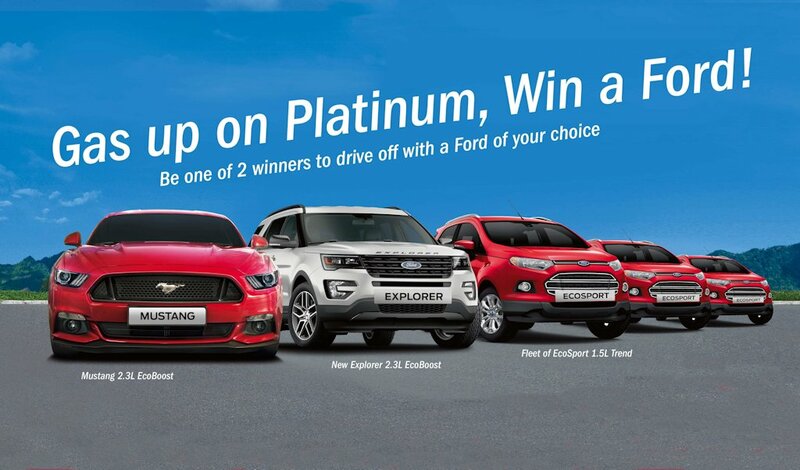 The Gas up on Platinum, Win a Ford promo, which runs until November 14, 2016, will let customers earn one e-raffle entry for every P 500 single receipt purchase of Platinum with Techron for a chance to win a Ford vehicle of their choice. Two grand prize winners can choose to drive home either a brand-new Ford Mustang 2.3L, Ford New Explorer 2.3L, or three Ford Ecosport 1.5L. The lucky grand prize winners will also take home P 100,000 worth of Caltex Starcash each so they can fill up their brand new cars with the new and improved Caltex Platinum with Techron. To join, customers only need to register once on this website with their name and contact details, and submit the promo code printed on the promo slip when they gas up at participating Caltex service stations nationwide within the promo period. Only Caltex Platinum purchases are eligible for this raffle promo. For every succeeding e-raffle entry, the customer has to submit the new promo code. Minor prizes will also be given away during four (4) weekly draws starting on the first raffle date, October 28. Five lucky winners will each take home P 5,000 in cash every week. The grand draw that will determine the two winners of Ford cars will be held on November 18. “This is our way of reaching out to our regular and new customers to introduce the new Caltex Platinum with Techron,” said Peter Morris, country chairman of Chevron Philippines, Inc. I can't see the promo code! Where to find it? why ford, caltex? why ford?